Ever wanted a simple yet powerful responsive magazine theme without the bloat? 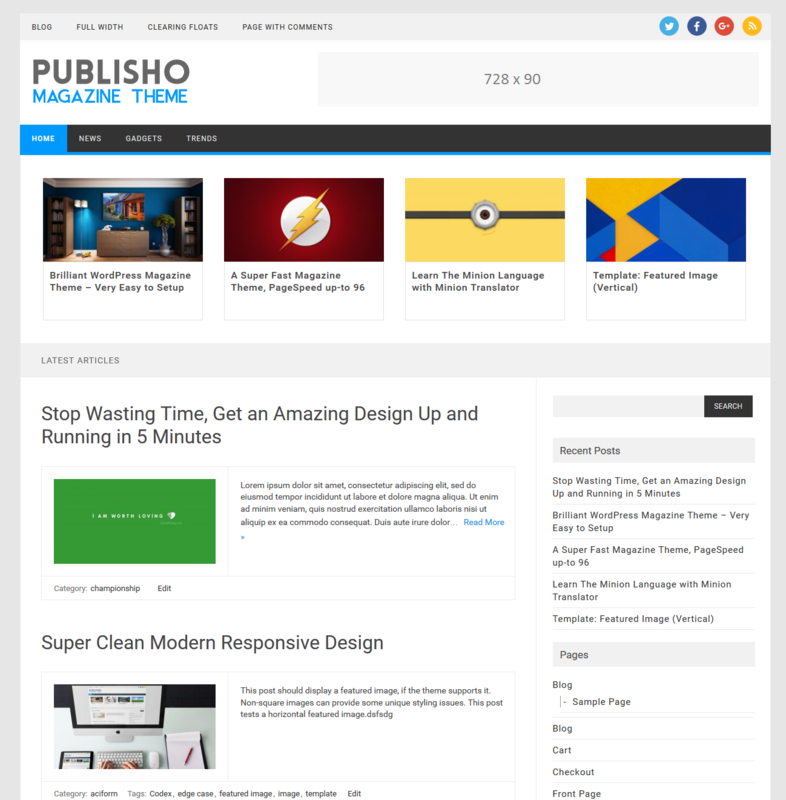 Try Publisho – A perfect balance of features and functionality that allows you to create content rich websites for News, Magazine, Publishing, Business blogs without the overwhelming options. Adapts to all devices without the use of heavy scripts, fully tested with Google mobile friendly test along with several mobile devices. 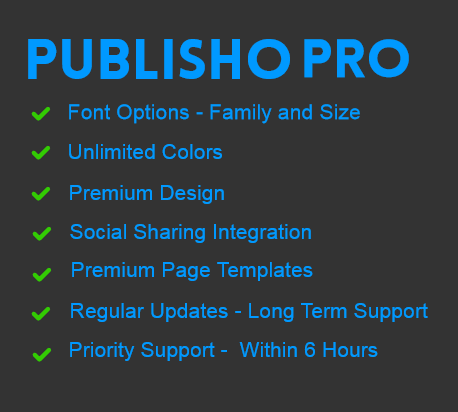 With size in just KBs you will get a fast loading website that focuses on content and due to its light weight and optimizations you will easily achieve pagespeed over 92+. Note: Please use Regenerate Thumbnails Plugin once to get your images resized for the theme, applicable for existing posts images only. For most up to date changelog, view changelog.txt inside theme folder. Change Main Navigation bar color in Publisho? Publisho Pro has GUI Color Picker for easy changing of colors. Use these codes in custom.css or simple custom css plugin, the latter is recommended as you can safely update your theme without affecting your customization changes. Make sure you empty browser cache to reflect the most recent CSS customization.